As much of the country looks forward to Easter weekend, thousands of people in Louisiana, Texas and Mississippi are still dealing with the impacts of severe and widespread flooding. For more than two weeks, communities across the South and Gulf Coast have endured intense rainfall and record-breaking flooding. The Sabine River flooding on the Texas and Louisiana border has broken records held since the 1880s and the Red River in Louisiana hit its highest level in more than 70 years. And this week, portions of the southern U.S. will face the return of severe thunderstorms and flooding, raising additional flooding concerns for already drenched terrain throughout the lower Mississippi Valley. 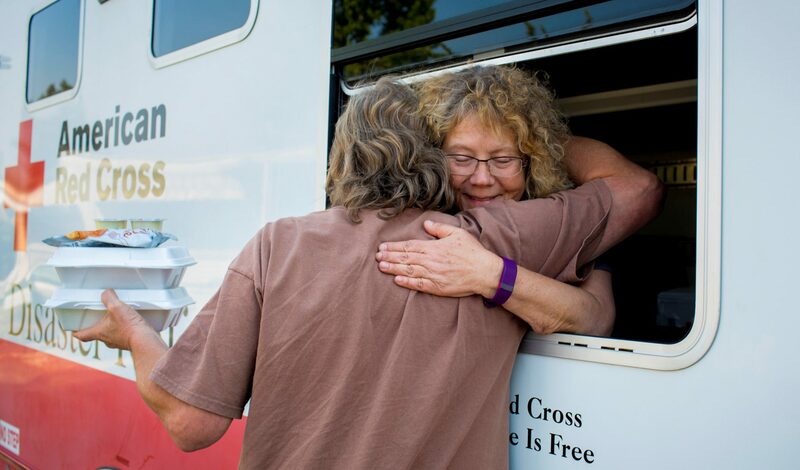 The American Red Cross is there on the ground, working around the clock to support individuals and families in need. On Tuesday, March 22, more than 270 people spent the evening in 16 Red Cross and community shelters in Texas, Louisiana and Mississippi. 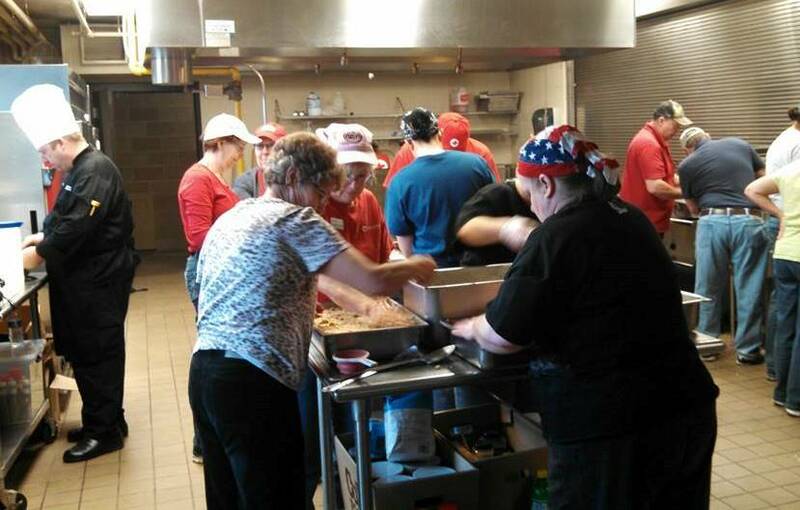 Served more than 170,000 meals and snacks for impacted residents. As people return to their neighborhoods, many are finding their homes inundated with muddy brown water and sewage, and their property strewn with heavy piles of debris. Even if their homes don not appear destroyed from the outside, some people have mobile homes that were immersed in several inches or a foot of water and inaccessible for over a week—many of those homes are a total loss because of the duration they spent with water inside. In addition to sheltering, the Red Cross is also helping to operate Multi-Agency Resource Centers (MARC) throughout impacted areas. At these resource centers people can sit down a with Red Cross caseworker, as well as with government and community partner organizations that are offering assistance. Recovering from a disaster can be a confusing and trying process; resource centers help streamline relief information and aid so people can more easily find the help they need. We need your continued support now to help people affected by disasters big and small. Those who would like to help people affected by disasters like flooding and countless other crises can make a donation to Red Cross Disaster Relief. People can donate by visiting redcross.org, calling 1-800-RED CROSS or texting the word REDCROSS to 90999 to make a $10 donation. 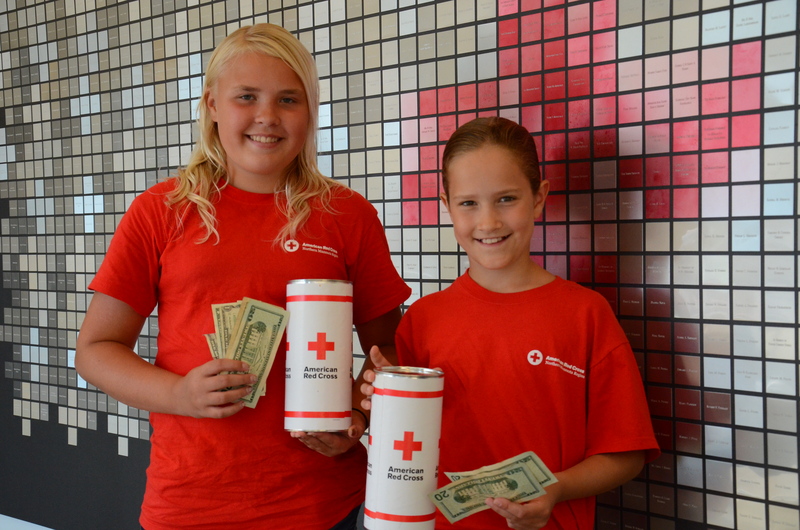 These donations enable the Red Cross to prepare for, respond to and help people recover from disasters big and small. This Year’s Training Institute is a Wrap! 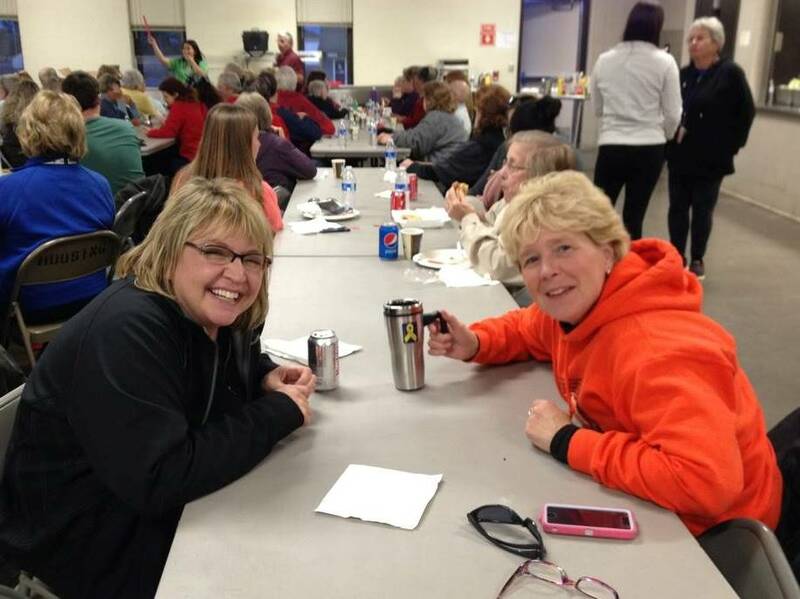 Nearly 170 Red Cross volunteers and staff from Minnesota, Wisconsin and the Dakotas spent three and a half days at the 2nd North Star Disaster Institute, held October 16-19 at Camp Ripley near Little Falls, Minnesota. A total of 39 Red Cross courses were offered, and a total of 636 courses were completed by the attendees. Highlights of the Institute included keynote speaker Mark J. Lindquist of Fargo, an entertainer and motivational speaker, who described his experiences as an AmeriCorps Red Cross volunteer following the 9/11 terrorist attack on the Pentagon in Washington, D.C., the Kitchen Training course and the “What’s New?” panel, which reviewed the 2017 organizational plan. As always, the best part of the Institute was greeting old friends, meeting and making new friends, and learning new skills in courses taught by experienced Red Cross instructors. Institute leaders included Art McIntyre, Steve Bonine, Mike Hoffman, Cheryl Thompson, Lindsey Lanigan and Carrie Taylor. Many others supported the event. Stay tuned for more details about the 2016 training institute. Meanwhile, click here to learn more about becoming a Red Cross volunteer and click here to learn more about Red Cross disaster relief services. 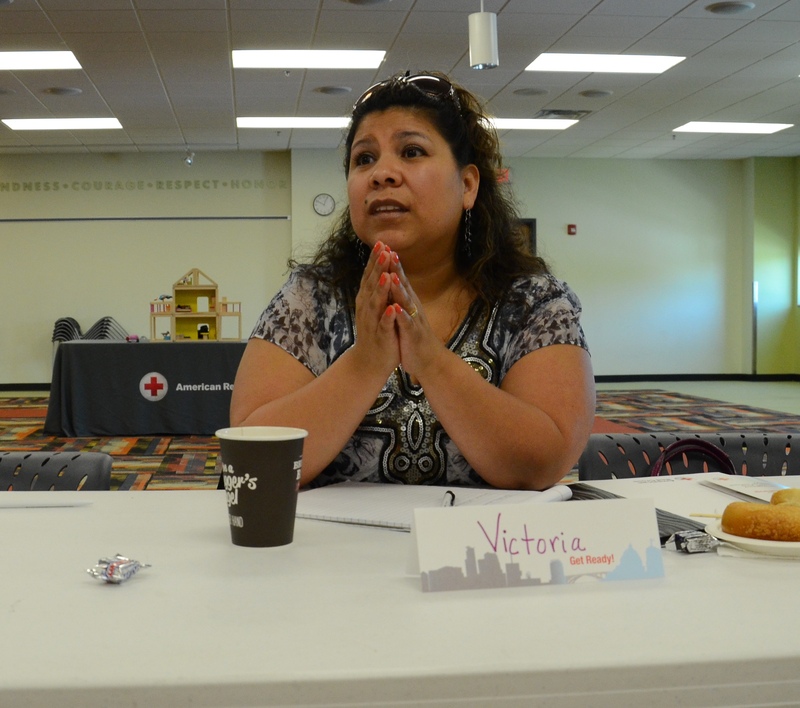 On May 29, our Red Cross region hosted its first Latino Leadership Summit. 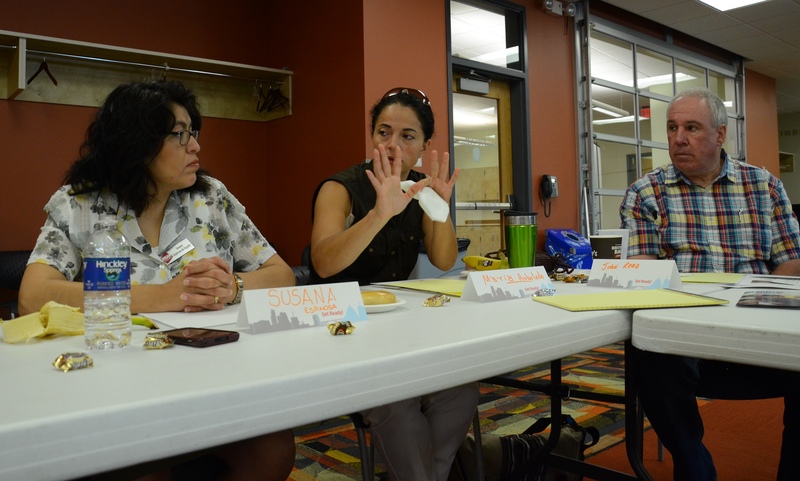 Held at Urban Ventures in Minneapolis, the summit brought together local Red Cross leaders and Latino community representatives for a conversation about emergency preparedness. Eleven people representing Latino groups, businesses or service organizations attended. They learned more about the importance of being prepared before disasters happen as well as Red Cross services and programs. 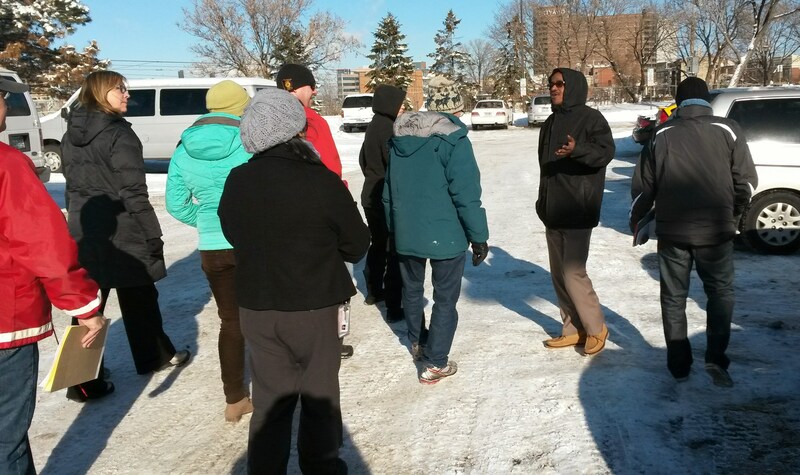 They offered, in return, insights into how the Red Cross can do a better job sharing its preparedness message with Spanish-speaking communities and helping them become more disaster resilient in Minnesota. 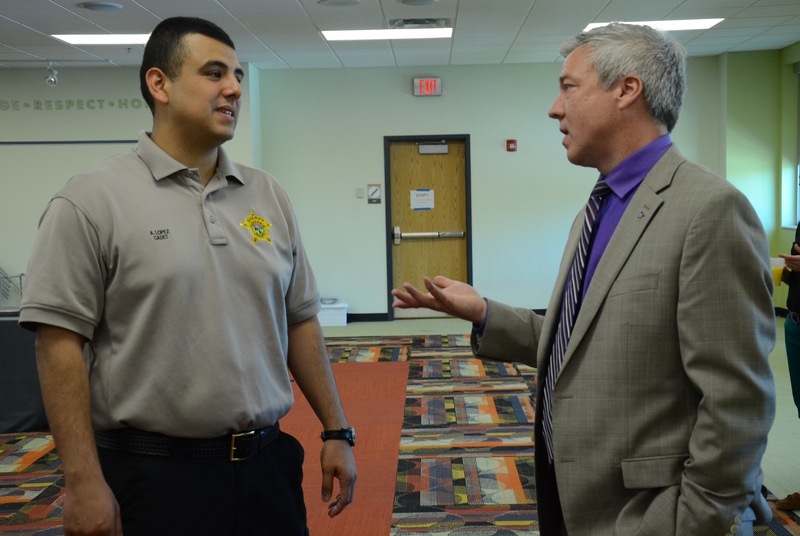 “Every mom is a first responder,” says Arturo Lopez (above left), a cadet in law enforcement training. Lopez says that building trust, reaching children and training women are keys to sharing preparedness messages with Latino families. Our Latino community partners left the summit with fresh enthusiasm and concrete action steps for preparing and preventing emergencies at home and work. Our Red Cross action plan includes helping them reach their goals and building on our new shared energy. Your Disaster Kit: Better Than a Magic Wand? Magic Wand or Bust? Or, Our Favorite Disaster Kit Fail courtesy of Carrie Carlson-Guest. September is National Preparedness Mont and a great time to get Red Cross Ready for disasters. 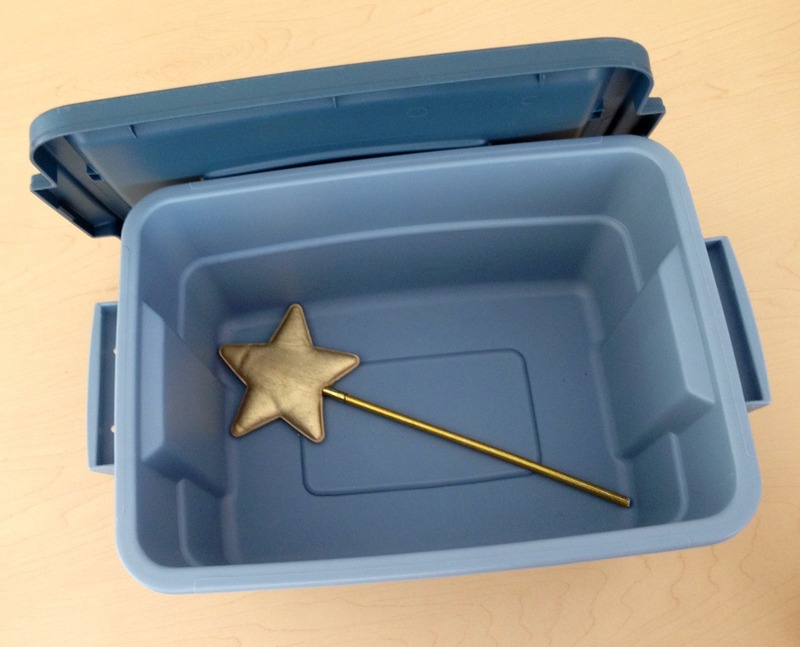 We know – so far your approach to preparedness has looked like a magic wand in a bin. Or maybe it looks like this “kit you don’t want to have” or one of these disaster kit fails. While we can’t auto-magically get you prepared for disasters, we can give you the tools you need. The basic steps include making a plan, building a kit and being informed. Make a Plan Planning together is important. Everyone in the household should help develop the emergency plan and know what they should do if something occurs. The plan should include ways to contact and find one another. Include two places to meet – one near the home in case of a sudden emergency like a fire, and one outside the neighborhood in case circumstances prevent people from returning home. The plan should also identify an emergency contact person from outside the area in case local telephone lines are overloaded or out of service. Often people are not at home when a disaster occurs and they may not be able to get back into their neighborhood. Plans should include decisions about where everyone will go if ordered to evacuate and what route they will take to get there. When discussing evacuation, everyone should include several different routes in case roads are closed. If pets are part of the household, they should be considered, including where they could be safe if the family has to evacuate such as pet-friendly motels and animal shelters along the evacuation route. Get a Kit Another step to get ready is to build an emergency kit. Use an easy-to-carry container so the family can use it at home or take it with them if asked to evacuate. It should contain a three-day supply of water (one gallon, per person, per day), nonperishable food, a flashlight, battery-powered or hand-crank radio, extra batteries, a first aid kit, a 7-day supply of medications, a multi-purpose tool, sanitation and personal hygiene items and copies of important personal documents. The Red Cross also recommends having at least two weeks worth of supplies at home. Be Informed Everyone also needs to stay informed about what types of disasters are most likely to occur where they live or where they plan to visit, and how officials will communicate with you during an emergency. It’s also important to take a first aid and CPR/AED course—a vital component of disaster preparedness in case emergency help is delayed. 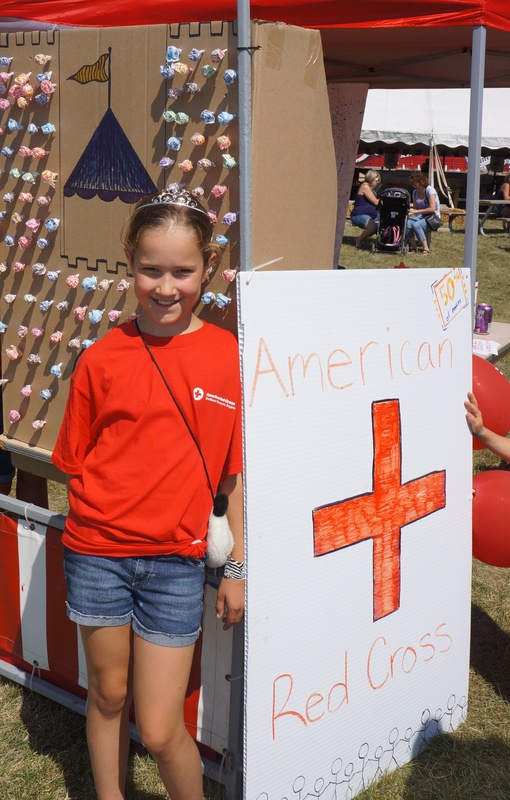 Click here to find a class near your local Red Cross chapter. Red Cross Apps People can be ready for whatever comes their way by downloading the free Red Cross apps for mobile devices which not only help people during emergencies, but offer help creating their emergency plan. The apps give people vital information to use during emergencies, even if they can’t connect to the internet. The apps can be downloaded from the Apple App Store and the Google Play Store for Android by searching for American Red Cross. 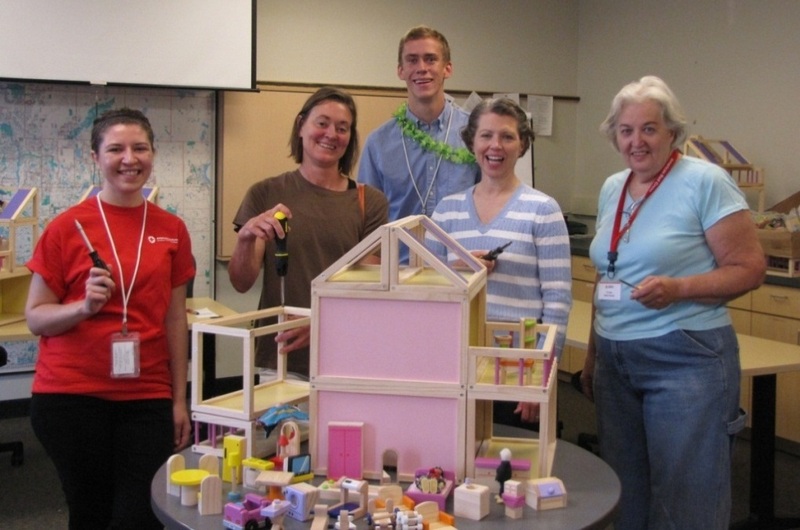 Armed with screwdrivers and one page of instructions, Red Cross volunteers build dollhouses for fire safety instruction, July 2013. Upon walking into the Preparedness office at the Red Cross in Minneapolis late last July, you may have thought you had instead stepped into a preschool playroom. You were, in fact, in the correct place. The confusion was caused by 10 pastel colored dollhouses, all of which include over 50 pieces of furniture and two dolls. These dollhouses, built by Red Cross volunteers, and will be used throughout the region to teach families, especially children, about fire safety. 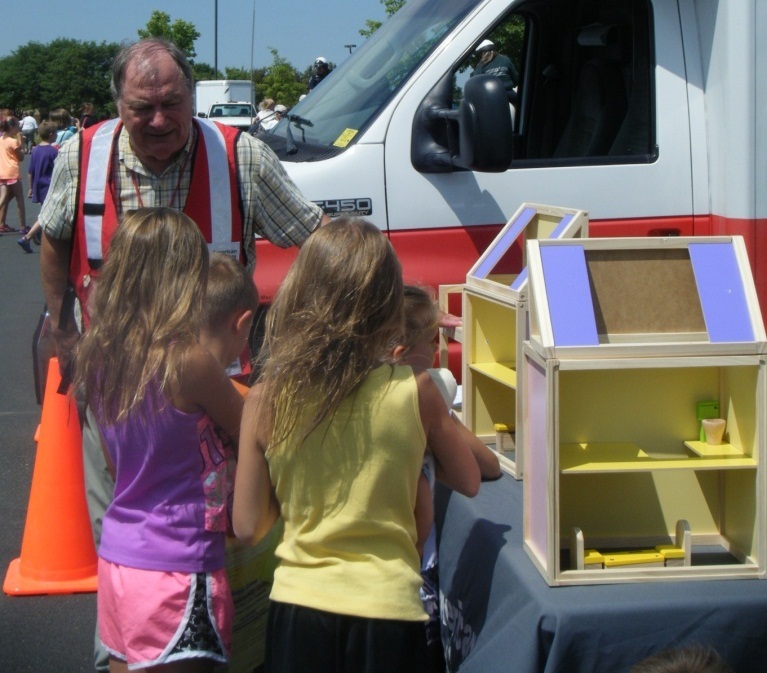 A Red Cross volunteer sparks the conversation about fire safety using a new dollhouse, Maple Grove, Minnesota, July 2013. The dollhouse project was adopted from our Safety Mobile Program. The next step for the dollhouses will be distribution around the Northern Minnesota Region, especially during October, fire safety month, when the dollhouses will be present at fire department open houses. 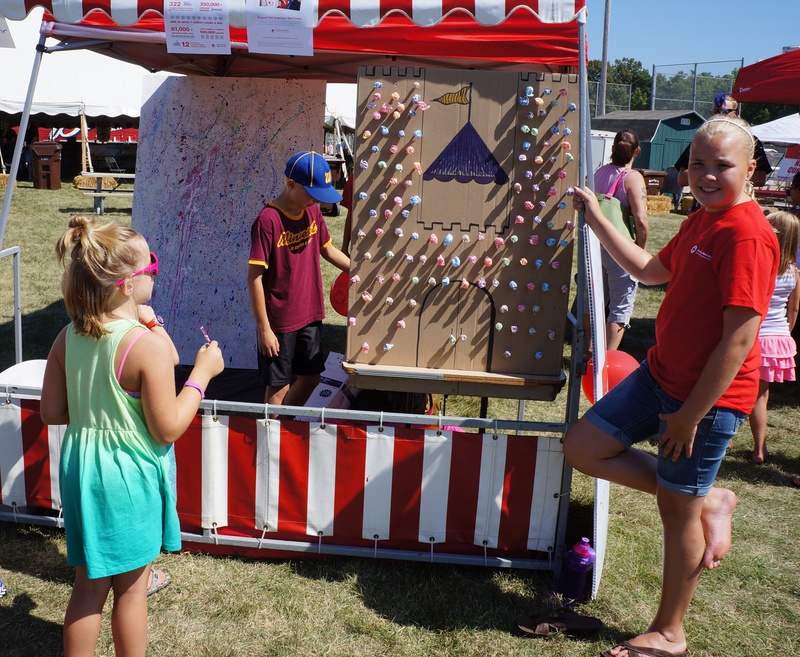 If you’d like to help teach others about fire safety or would like a dollhouse to come to your city’s fire department open house, you can call the Red Cross at 612-871-7676. You can also download our First Aid mobile app with helpful information about preparing for home fires and other emergencies.